This cord is our most popular C7 stringer for home use in white. 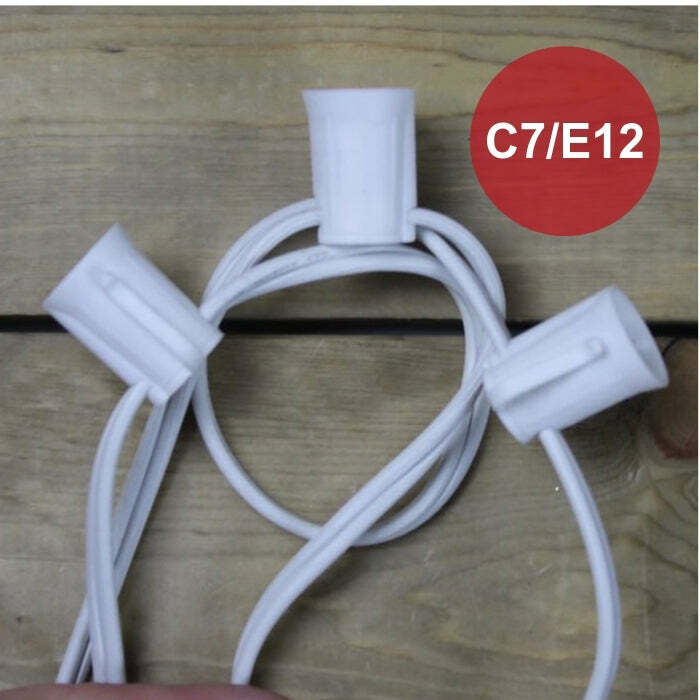 With 100 sockets spaced 12 inches apart, it takes 4 boxes of C7 bulbs to fill this C7 cord. We have a large selection of C7 Incandescent and C7 LED bulbs. This cord has an E-12 (candelabra base) which means that any of our G30 bulbs, G40 bulbs, and G50 bulbs fit as well. Q: Can I cut the 100 foot spool of c7 or c9 wire? I need 64 feet and that is a difficult length to find. A: Yes, you can cut and electrically terminate these cords to fit your custom length. 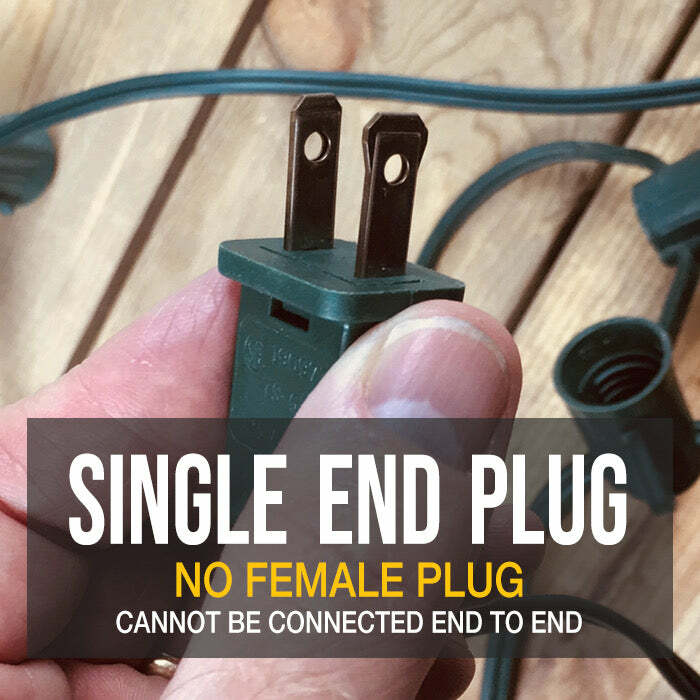 Options for terminating the cut end include installing a female gilbert plug, wrapping the end with electrical tape or dipping the end in a product called "liquid electrical tape".